Radon is invisible and has no taste or smell, but it may be a problem in your home. Radon is a naturally occurring radioactive gas produced by the breakdown of uranium in soil, rock and water. Air pressure in your home is lower than pressure in the soil around your home’s foundation. This difference in pressure creates a vacuum, drawing radon into your home through foundation cracks, sewage drains, sump pits and other openings. There are significant health risks attributed to breathing air containing radon. In fact, the Surgeon General has warned that radon is the second leading cause of lung cancer in the United States today. The good news is that testing for radon is relatively quick and easy! 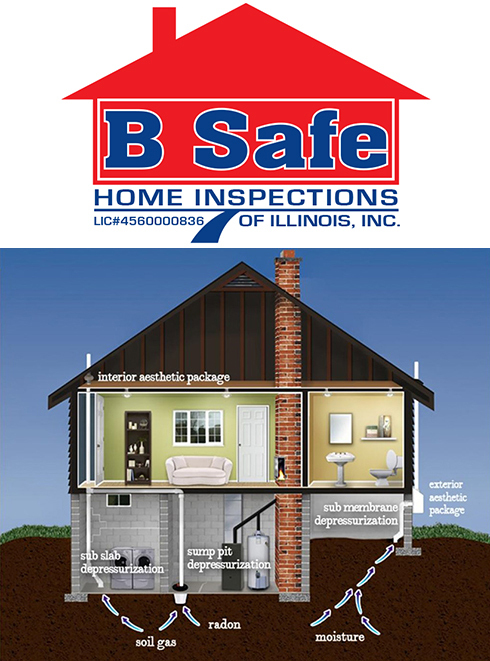 Bsafe will send our state licensed radon measurement specialist to your home and place Continuous Radon Monitors in strategic locations to accurately measure the radon levels.